Some homes in Cleveland Heights and Shaker Heights are bonafide mansions. And being as such, their heating systems are often the same size as ones you’d typically find in apartment buildings. Most companies shy away from these massive steam boiler projects, but not Verne & Ellsworth Hann. The above photo illustrates a before picture showing two old boilers. The “newer” old boiler was 40-years-old and had failed. It was piped through the original boiler to the house which was from the early 1920’s. Asbestos needed to be remediated before work could begin. Then both old boilers had to be dismantled and hauled out. For safety reasons, our boiler team had to work methodically and in synchronization. And there was a physical aspect to this project because the construction of the stairwell access forbade the use of equipment — everything had to be carried out and carried in by hand! Then, the building of the new boiler could begin. 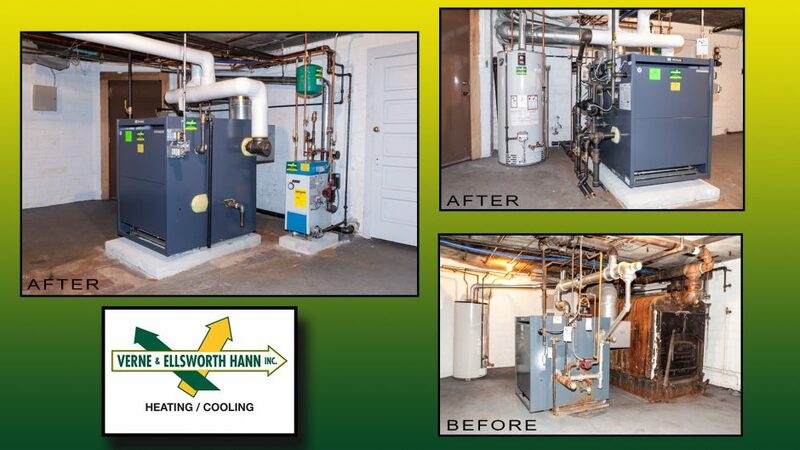 It was a large project that the boiler install team of Verne & Ellsworth Hann was undaunted by. Not only was the steam boiler commercial sized, but all of the associated piping needed to be reconfigured, including new steam header, return piping and water supply. New exhaust venting and electrical required updating. In this particular project, a smaller separate hot water boiler was added to supply heat to an isolated area of the house requiring radiant floor heating. We also relocated the 75-gallon hot water tank, which was out in the middle of the room, and nested a new tank with the boiler on the left to be closer to the chimney and out of the way. Most companies are reluctant, or flat out walk away from these projects, because they are too daunting for most Cleveland area companies that lack the manpower and skill set to install commercial equipment in a residential environment. But to Verne & Ellsworth Hann this is just another week’s job. We have the manpower, technical acuity and project management to tackle any residential heating project. Big boiler projects don’t scare us. Big boiler projects are a welcome challenge to Verne & Ellsworth Hann. 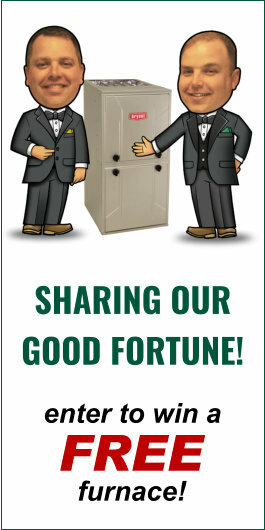 And as illustrated in the after pictures, we also take a great deal of pride in what we do.